Women and Wigs - the experience of black women, poet Helen Mort on her debut novel, and what's the best way to care for a parent with early on-set dementia? More in our series looking at what wigs mean to a range of different women. Yesterday we looked at the experience of women who'd lost their hair through cancer treatment. Today we look at why wigs can be so political for black women. Mikai McDermott is a blogger and hair stylist and specialises in wigs for women of colour. 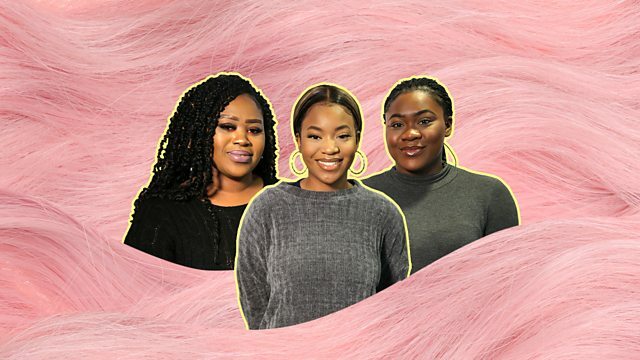 Maria Edaferhoro chooses to wear wigs and believes there can be a stigma against them in the black community and Michelle Annan-Baidoo owns a hair salon in East London. The Sheffield-born poet Helen Mort talks about writing her first novel ‘Black Car Burning’ about women climbers, polyamory and trust. What is the best way to care for a parent with early on-set dementia? A few weeks ago we spoke to Wendy Mitchell who was diagnosed with young on-set dementia at just 58 years old. Today we hear from her daughter Sarah about how she helps support her mum and the techniques they use to make caring easier. Why can wigs be so political for black women? Michelle Annan-Baidoo, Mikai McDermott and Maria Edaferhoro speak to Jane Garvey.